We offer a Wide Selection on Boys and Girls Party Bags for Childrens Partyies in Hereford - Hereford Castle Hire | The Cheapest Bouncy Castle Hire in Hereford. At HerefordCastleHire.com we offer a wide selection of Party Bags to suit any occasion or theme for both Boys and Girls. We take the stress from your party organising by supplying you our ready filled boys and girls party bags. Please use our booking form at the bottom of the page to place your order. Our Birthday Party Theme Party Bag is suitable for both boys and girls. Our Smiley Face Theme Party Bag is suitable for both boys and girls. 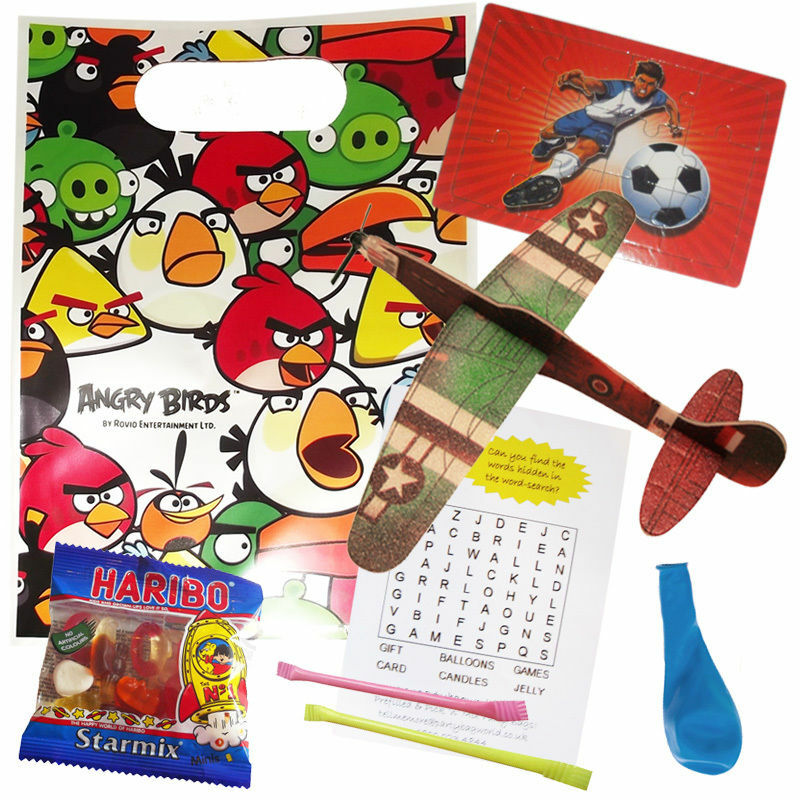 Our Angry Birds Theme Party Bag is suitable for both boys and girls. 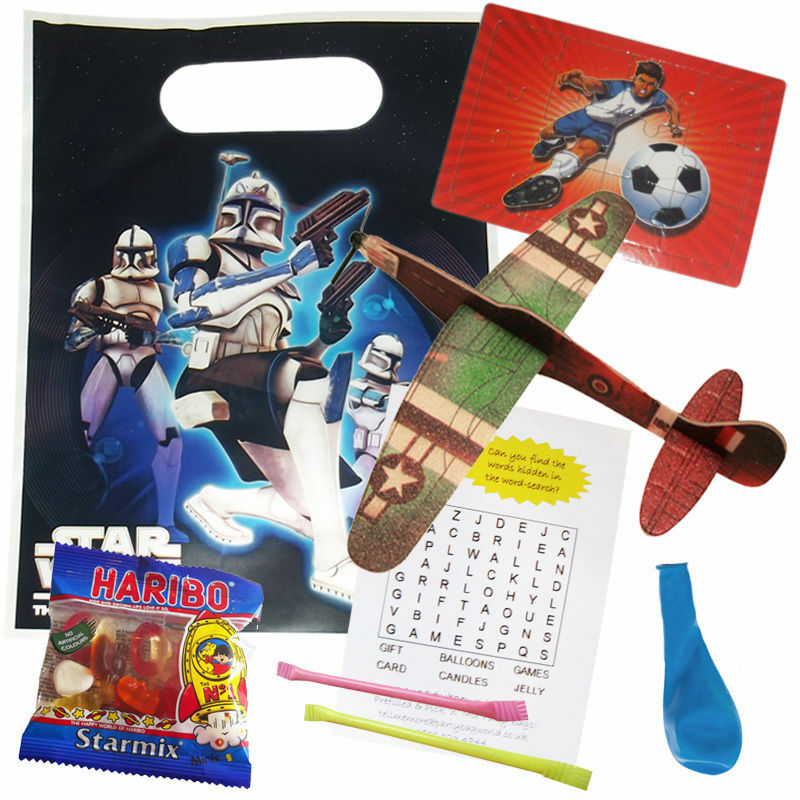 Our Star Wars Theme Party Bag is suitable for boys. 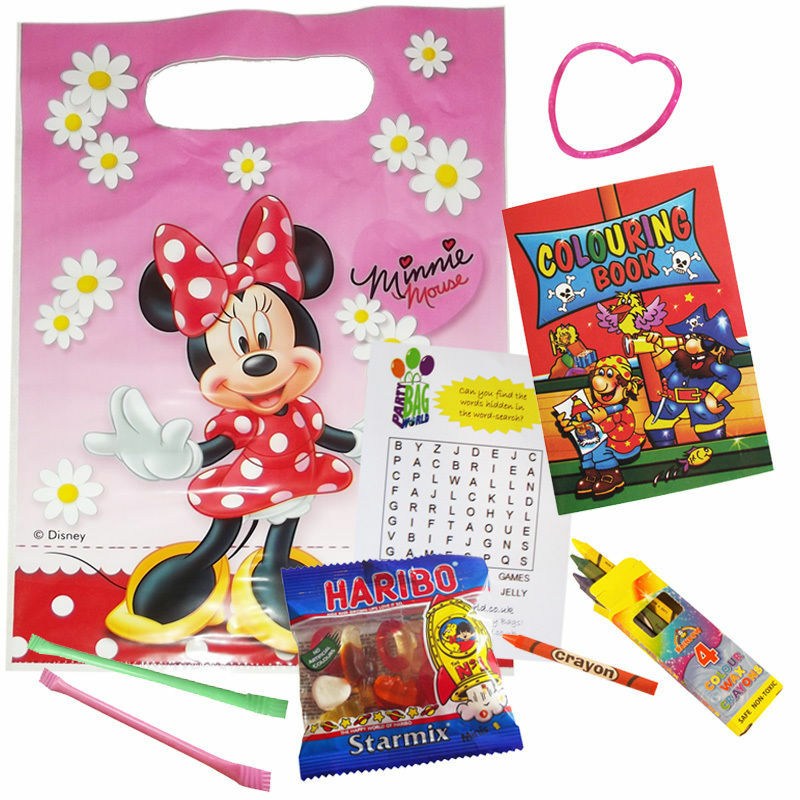 Our Minnie Mouse Theme Party Bag is suitable for Girls. 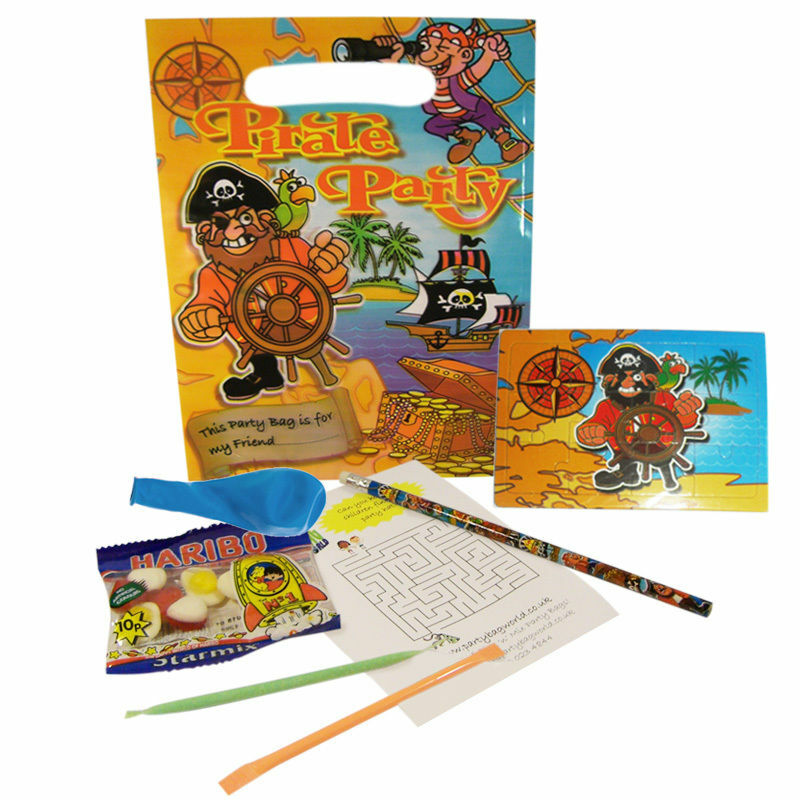 Our Pirate Theme Party Bag is suitable for Boys. 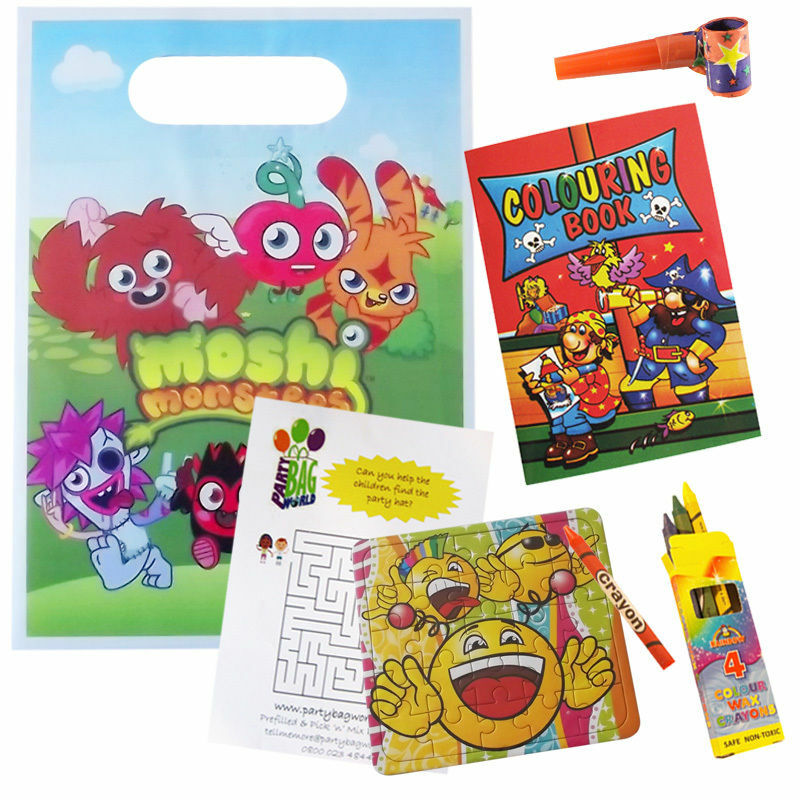 Our Moshi Monsters Party Bag is suitable for Boys and Girls. 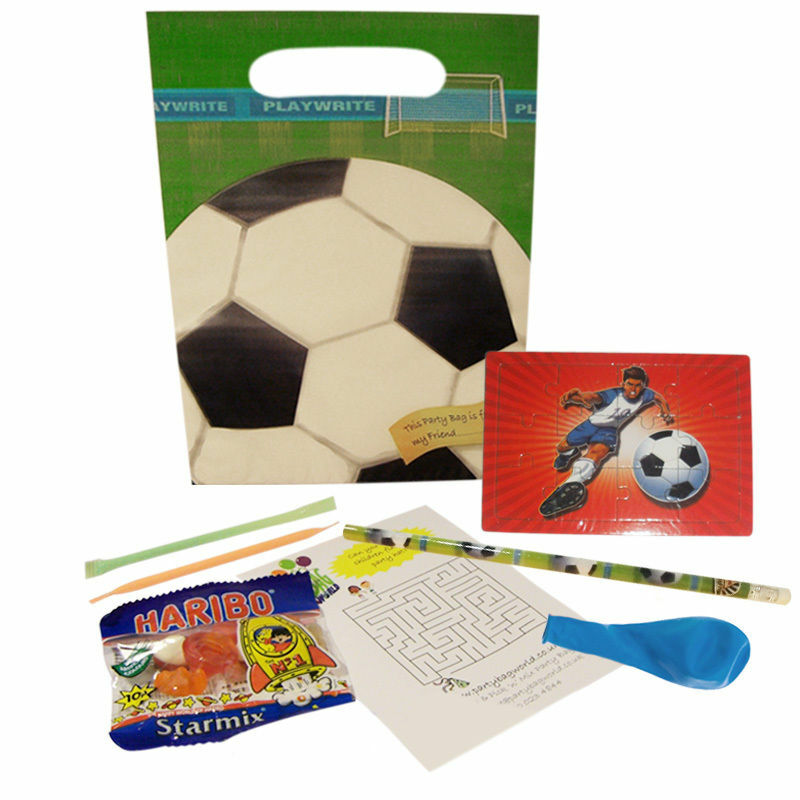 Our Football Themed Party Bag is suitable for Boys and Girls. 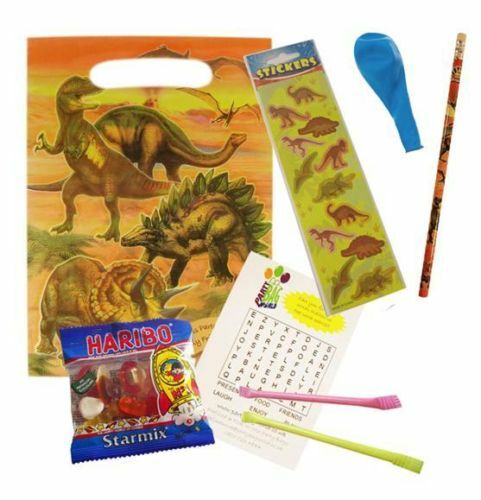 Our Dinosaur Themed Party Bag is suitable for Boys and Girls. 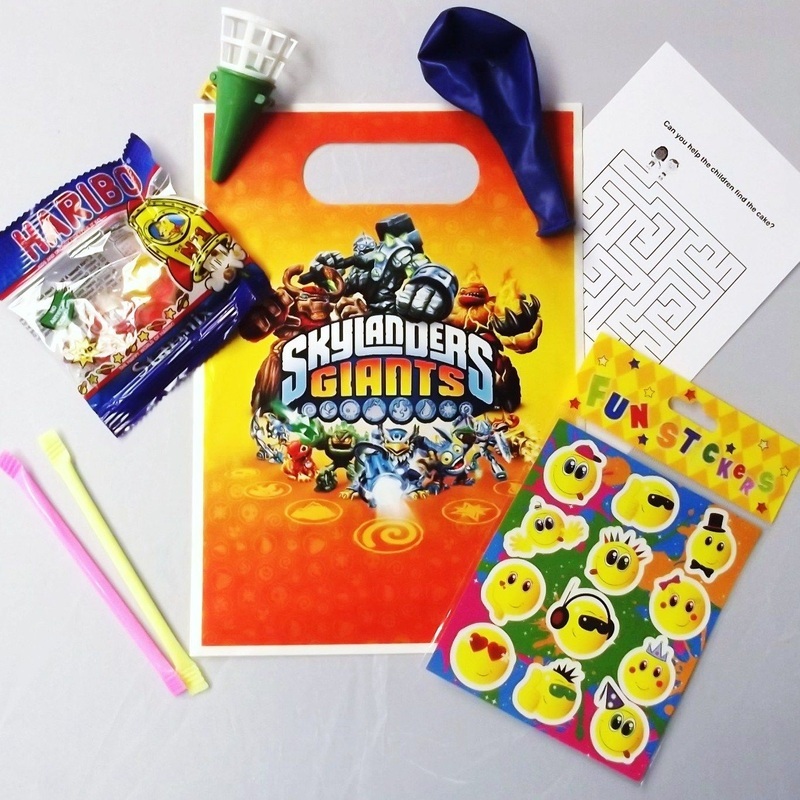 Our Skylander Themed Party Bag is suitable for Boys and Girls. Please Use the Form Below to Book Your Party Bags. We will then Call you to Confirm you Booking and Delivery.